The ninth and latest version of Android has officially rolled out under the name of Pie. It previously had just been known as Android P, coming after Android Oreo, and Android Nougat before that. Google Pixel phones were the first made available for the Android Pie update, which began on Monday. Android Pie was in development for over a year and went through many months of testing before its launch. In March, Google revealed a preview version of the software and in May, certain features were made public at their annual I/O developer conference. 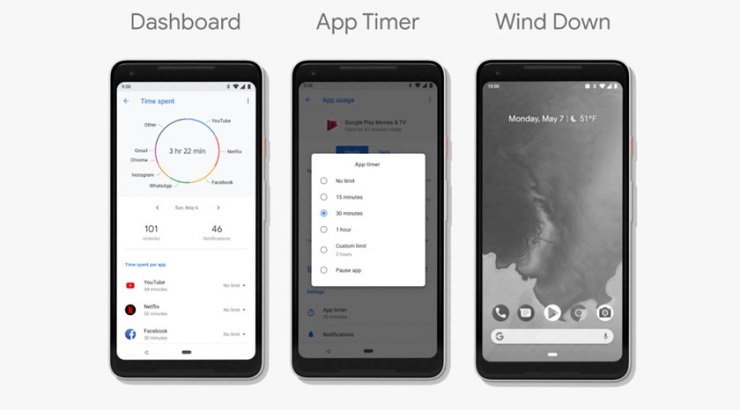 Android 9 includes a feature called Adaptive Battery which learns which apps users care about the most and thus prioritizes system resources to match. Slices will help users perform tasks faster by showing you information that's embedded within different apps when you search on the device. For example, if you're searching for a location like Bali, you'll get information about the time zone, flights, as well as results from your Google Photos with photos from your recent Bali vacation. Digital Well-Being software is still in beta for now, but this fall it will fully launch and give users insight into how much time they spend on their phone and various apps each day. Users will also be able to set timers on apps so they can learn to more efficiently manage their time. Other features to look forward to include app actions, display cutout, more security features, new gesture navigation, and more. Android users who have signed up for the Android Beta program will receive the Android Pie update by the end of this fall. This is dependent on them owning devices from HMD Global, Sony Mobile, OnePlus, Xiaomi, Oppo, Vivo, and Essential. Other users should hopefully get the free update by this year as Google works with its other partners.